At the beginning of August, NBC announced their ‘Female Forward’ initiative, which was designed to promote female directors and continue chipping away at the continuously male-dominated craft. Female Forward is a professional mentorship program which “emphasizes the importance of giving female directors more directing opportunities among scripted series across all of the network’s platforms.” Ten female directors will have the opportunity to observe as many as three episodes of an NBC series, and will also have the chance to direct at least one episode themselves. Jennifer Salke, President of NBC, stated “We strongly believe women can and should be at the forefront of telling compelling stories, and I hope the guaranteed directing component will have real impact on our shows as well as our industry.” And we at FF2 Media are extremely excited to see exactly what these women can bring to the table. The prospect of bringing on female directors is a huge step forward for NBC, and we hope that other networks will follow. 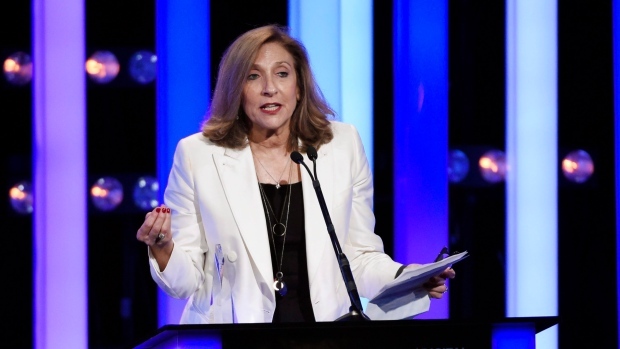 But for Lesli Linka Glatter, director of Homeland, Ray Donovan, and The Newsroom, this initiative is more than just granting opportunities, it’s about changing the game, “It shouldn’t be harder for our daughters to direct than for our sons. It should be an equal playing field. A program like this is a game changer and it’s an honor to be a part of it.” Well said! Gender should never define what someone is, or is not, able to do, especially in the arts. The initiative will start with this upcoming television season, and NBC has hopes it will help with the network’s ratings. This is exactly the kind of initiative that FF2 can get behind. Our mission as an umbrella company to be dedicated to the underrepresented voices of directors and screenwriters in the entertainment industry makes us hyper aware of the drastic gender dynamic on screen, for film and for television. Every week, when the lists of premiering films are released, we check to see how many films are coming out, and who wrote and directed them. This initiative will encourage and empower women to continue doing the work that they do, and while we don't currently review television, we will be there to support them all the way! We are happy to stand with NBC in their decision to grant more opportunities to women in the industry, and we hope, through this initiative, producers and other networks will begin to value the female voice, and grant them equal opportunity across the board.